The high-profile clashes between ordinary citizens protesting over increased transport fares and the police in Islamabad and Rawalpindi this past week, and similar clashes in Lahore the previous week should hopefully turn our attention away from the tired old theme of bomb blasts and religious extremism. It is conceivable that, in days and months to come, such expressions of mob behaviour and fairly predictable responses on the part of state authorities are likely to become more common, particularly given the projected electricity shortfall during the coming summer months. Special and differential (S&D) treatment for developing and the least developed countries (LDCs) is an important characteristic of the multilateral trading system. There are different views on whether the S&D treatment is beneficial or harmful for these countries. "You just never have to give up"
Dr Wangari Maathai launched the Green Belt Movement in 1977 and mobilised Kenyan women to plant trees throughout the country. During the last three decades or so, the movement has helped plant more than thirty million trees. Popularly known as 'woman tree', she was the first environmentalist and African woman to win the Nobel Peace Prize in 2004. Taxing income earned through agricultural activities is the sole prerogative of provincial governments under the 1973 Constitution of Pakistan. All the four provinces have enacted laws to this effect, but total collection in 2009 was below Rs. 2 billion against the actual potential of Rs. 200 billion (share of agriculture in GDP was about 22 percent). This abysmally low collection proves beyond any doubt lack of political will to tax the rich absentee landlords. Presently, the provincial governments are not collecting tax on agriculture income but on fixed per acre basis. They charge Rs.150 per acre from the irrigated area and Rs100 per acre from non-irrigated land. This is gross violation of Constitution that requires tax on agricultural income. Fifty years down the road, the reign of the Green Revolution that began in the 1960s in India seems to be nearing its end. The Green Revolution pushed the production frontiers of the agriculture sector through farm mechanisation and introduction of high yielding varieties (HYVs), complemented by the construction of upstream water reservoirs. It helped farmers increase food grain and crop production at higher rates than the rates of population growth. In the following three decades (1960-80), the average yield per hectare rose at an impressive average rate of 4 percent per year. This growth was not only enough to feed a population of 85 million, growing at a fast rate of 4.12 percent per year during that period, but also generated surpluses that improved Pakistan's export performance and earned foreign exchange reserves for a cash starved economy. The frontier province and the tribal belt have a vast potential for olive production. Realisation of this potential can cater to Pakistan's edible oil requirements. Sustained and well-directed efforts will have to be taken in this direction. Pakistan Oilseed Development Board (PODB) has been trying to achieve this goal by seeking conversion of fruitless wild olive to fruit-bearing species and by cultivation of new olive plants. But as it remained dormant for around 15 years, it is still a long way to go to tap the full potential. The gigantic task would be accomplished sooner if an increased public-private partnership is ensured. Many positive and imaginative steps are being taken and every attempt is made to create a cordial atmosphere to remove distrust between the Indians and the Pakistanis. On country-to- country political level, there are contacts but the-people-to-people contacts are very few and mostly co-incidental, not deliberately arranged. But from what I learnt from my experience during my two year stay in Kabul with Pakistanis as my neighbours, people on both side of the LoC are eager to have good relations. I was a lecturer in English in Kabul University in the seventies. I reproduce below a section from my writings. To begin with, my salaams to the memory and spirit of Aziz Siddiqui, whom you mentioned in your last letter. He's right, of course: is giving up the fight for your beliefs even an option? "India and Pakistan need to exchange art"
After holding seven solo exhibitions and taking part in over 100 group exhibitions, Ghalib Baqar, 53, happens to be one of the few notable water colour artists in Pakistan. His first solo exhibition was held at BM Gallery in 1983 and it was inaugurated by noted scientist, intellectual, and painter Dr. Salimuzaman Siddiqui. In 1991, Baqar had a solo exhibition at Indus Art Gallery managed by Pakistan's leading artist Ali Imam. Baqar has over 20 years of teaching experience at Balochistan Art Council, Karachi Grammar School, and the Visual Studies Department of the University of Karachi. He bagged first prize at Biennial International Competition of SAARC countries in 1988. 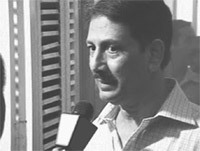 Baqar was born in Karachi on April 14, 1956. 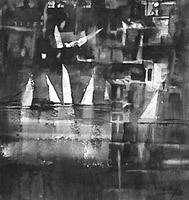 He earned his diploma in Fine Arts in 1975 from Karachi School of Art and was the youngest diploma holder at that time. Baqar shifted to Quetta and joined Balochistan Art Council in 1978 as a teacher. However, he returned to Karachi in 1981. Having said this, one felt quite similarly a year ago. Yet the summer passed us by without any major breakdown of law and order or even major outbursts of spontaneous protest. It is true that socio-economic conditions are deteriorating steadily and that the cumulative effects of suffocating economic policies, the inexcusable failure of long-term planning and societal fragmentation could produce more acute reactions on the part of the working or even the lower-middle class. But the fact of the matter is that unorganised outbursts of anti-government sentiment will not force changes in the policies that cause disaffection nor impact the structures within which working people negotiate their lives. Indeed, they can quite often become counter-productive in the sense that those who come out onto the streets expend all of their energy and then sink back into apathy having discovered that very little has changed. Let us not forget those who insist that such spontaneous mob behaviour is usually manipulated by the powers-that-be to undermine the political process. Such conspiracy theories are impossible to prove conclusively but there is nevertheless always a tinge of truth in them. At the end of the day the recent protests will probably be little more than a flash in the pan. Perhaps they are most important for what they indicate about the political space available to genuinely anti-status quo political actors. It is a fact that none of our mainstream parties are actually interested in taking up the class question in any meaningful way. The Pakistan People's Party (PPP), which of course made its name by talking the language of class, has almost completely disassociated itself with working-class politics. Ethnic-nationalists refuse to nuance their politics and recognise the symbiotic link that exists between the working people of Punjab and oppressed nationalities. The religious right talks up class but in practice wants nothing to do with genuine class-based movements. There are of course the militants who have done more than simply employ the rhetoric of class. It is now impossible to deny that the Swat Taliban exhorted landless and other relatively weak segments of Swati society to rise up against the khanate elite. That this class angle was juxtaposed on a larger jihadi narrative of course meant that, in the final analysis, the class question was heavily diluted. The vision that inspires the Islamists bears little similarity to the classless society envisioned by those who have historically been flag-bearers for the working class. To be sure, there is every chance that those who read and write about the working class can reemerge as a political force within Pakistani society. The 20th century experience of socialism has no doubt raised important questions with regard to the nature of working class politics, and ultimately, how to build a post-capitalist society. But all attempts to improve the human condition are only building blocks towards better attempts in the future. In the first instance, a new working-class politics in Pakistan must be based on the real struggles of working people. This is stating the obvious but, unfortunately, too many of those who claim to be committed to the emancipation of the working class spend too much of their time on the internet and in gup-shup clubs. The spontaneous protests in Islamabad and Lahore against fare increases might not have descended into wantonness if there were organisers and activists affiliated with trade unions or working class that were able to convince the protestors to move beyond the here and now and be part of a more long-term process of mobilisation. There are, of course, many existing working-class struggles that deserve considerable attention. For example, the considerable mobilisation of textile workers in Faisalabad and Jhang is arguably the biggest such mobilisation in decades. This is no longer the age of the large factory and the classic trade union. Punjab's textile workers in 2010 are spread out in small workshops and many are simply not even formally registered as workers. But these workers have mobilised in recent years, mostly without external support. But they need to build linkages to other working-class movements extend their vision beyond the day-to-day struggle. This is why a political party of the working class is necessary. More generally, if a working-class political party were to exist in Pakistan, there would be pressure on governments to think twice before prostrating themselves in front of the international financial institutions (IFIs) and the dictates of the Empire more generally. All governments in Pakistan claim they have no choice but to accede to the global powers, including the IFIs, but this so-called lack of choice is, in fact, an indicator of the lack of a working class voice in policymaking circles. A mass working class party would also take the wind out of the religious rights' sails. It is not a coincidence that the rise of the right has been coeval with the decline of the left. The right is able to depict itself as populist in large part because it faces no competition. The people of Pakistan know that the right is all hot air, but they also know that no other party even bothers to employ populist rhetoric. It is high time that a genuine working class alternative be built in Pakistan that not only talks the talk, but also walks the walk. The two major forms of S&D treatment are provisions for preferential tariffs on imports from developing countries and LDCs to the markets of developed countries; and exception or relaxation granted to these countries from implementing their obligations under various WTO agreements. The principal way by which developed countries unilaterally impose lower tariffs on imports from developing countries and LDCs than on products from other developed countries is represented by the Generalized System of Preferences (GSP). The legal basis of the GSP is the "Decision on Differential and More Favourable Treatment, Reciprocity and Fuller Participation of Developing Countries". Adopted in 1979 for an indefinite period, it is also called the General Enabling Clause and forms part of the WTO Agreement. The idea behind the GSP is that preferential treatment will help less developed countries integrate in global economy, which can serve as an instrument of development. Every developed economy has its own GSP scheme with different product coverage, preferential tariffs and criteria for benefiting from the same. For instance, under the GSP scheme of the USA, all eligible products from developing countries enter the country's market duty free. On the other hand, under the GSP scheme of the European Union (EU), eligible products enter the markets of beneficiary countries at either zero duty or a lower duty than MFN duty -- 20 percent reduction from MFN tariffs in case of textile and clothing products and 3.5 percentage points reduction from all other eligible products. All eligible exports from LDCs enter the EU duty free under an arrangement called, "Everything But Arms" (EBA). Under the WTO normally members cannot raise their bound rates of duty or impose quantitative restrictions on imports from other members. Developing countries, including LDCs, however can adopt such restrictive measures, subject to approval of other members, to promote the development of new industries or an existing industry. The purpose of this exception is to ensure that trade liberalization does not have adverse effects on economic development of developing countries. WTO allows both developed and developing countries to restrict imports in the face of balance of payment problems. However, developed countries have more stringent criteria to follow than developing countries while adopting such restrictive measures. For developed countries there are two criteria. One, when the threat of a serious decline in their monetary reserves is imminent; two, when the level of reserves is very low. Developing countries can adopt such measures when they think there is threat of a serious decline in their monetary reserves, even though the same may not be imminent; or if monetary reserves are too low to cover expected foreign exchange payments. The Agreement on Subsidies and countervailing measures prohibits members from using export subsidies--subsidies which are contingent upon export performance. However, LDCs and developing countries whose per capita income does not exceed $1,000 are exempted from this prohibition. In the Agreement on Trade in Services, developing countries are allowed to open fewer sectors or to liberalise fewer types of transactions. In the application of sanitary or phytosanitary measures, as provided in the Agreement on Sanitary and Phytosanitary Measures, members have to consider the special needs of developing countries, particularly LDCs. The S&D provisions have been criticised for several reasons. One: these provisions conflict with the principle of non-discrimination, which forms the centerpiece of the WTO system. Two, preferential tariff treatment given to exports of developing countries in the shape of GSP is not really non-reciprocal. In return, the developing countries have to comply with the standards and conditions, at times arbitrary, imposed by the donors and the failure to do this may result in suspension of the benefits. For instance, in 1996, the USA suspended preferential benefits to Pakistan under its GSP scheme for "failure" to comply with the donor country's labour standards. Pakistan was re-admitted to the GSP scheme only after its support to anti-terrorism campaign of the US government in 2001. Three, benefits given under the GSP are not binding, and the same can be withdrawn on grounds that are not always strong. For instance, very recently, the EU has suspended GSP treatment to Sri Lanka for alleged human right violations by Colombo. This raises the question of the link between trade preferences and human rights. Four, donor rather than beneficiary country's interest determines the products to be extended preferential treatment under the GSP. For instance, the GSP schemes of the USA and Russia do not include textile and apparel products, partly because this sector is considered very sensitive for their domestic industry and partly because developing countries by and large have a competitive advantage in it. Similarly, several agricultural products are excluded from the GSP schemes of the EU and Japan for more or less similar reasons. Five, non-reciprocal preferential treatment has not yielded much real benefits to developing countries. 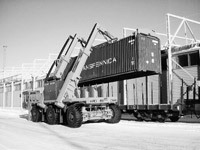 Rather it has had only a marginal effect on their export and general economic performance. There has been a strong tendency among developing countries to focus on products benefiting from GSP schemes to the neglect of industrial and agricultural diversification. Six, unilateral preferences make it difficult for developing countries to shed off protectionism and liberalise their trade and economy. Finally, the exception or relaxation granted to developing countries from meeting their obligations obstructs rather than helps their integration into the multilateral trading system. The above criticism of the S&D treatment is too a large extent valid. However, the problem is not with the notion of unilateral preferences or S&D treatment per se but with the way the unilateral preferences are being applied. A broader product coverage, for instance, inclusion of textile and clothing in US GSP, and absence of strict conditionalties accompanying unilateral preferences, such as labour and human rights standards, will go a long way in enhancing their usefulness. Moreover, preferential treatment should be used by less developed countries as an instrument of industrial and export growth. It should not become an obstacle to economic diversification. It is, however, not true that non-reciprocal preferences yield only marginal benefits to recipient countries. For instance, Pakistan's export of textile products increased by $ 1 billion in three years (2002-2004) after it had been given duty free access to the EU market under the drug arrangement of the GSP scheme. Preferential treatment does make exports of developing countries and LDCs more price-competitive and thus encourages them to pursue export led growth strategy. No doubt, the pursuit of such a strategy is also in the interest of developed countries, because this makes developing countries discard the import substitution strategy and increase their imports, which are largely supplied by developed countries. But this give-and-take situation is what international economic relations are all about. There is, however, a strong tendency among developing countries to focus on products benefiting from GSP schemes to the neglect of the remaining products. This is a capital mistake. Preferential treatment should be an instrument of industrial and export growth. It should not become an obstacle to economic diversification. All said and done, since less developed countries lag far behind developed countries in terms of financial, institutional, technological and human resources, they need special treatment in order to successfully integrate themselves into the multilateral trading system. However, it should also be borne in mind that S&D treatment by itself cannot make the exports of less developed countries competitive, though such treatment can serve as an instrument of export competitiveness. Dr Maathai was listed 6th in the Environment Agency (UK) peer review of the world's Top 100 Eco-Heroes. She was also included in United Nations Environment Programmer's (UNEP) Global 500 Hall of Fame and named one of the 100 heroines of the world. In June 1997, she was elected by Earth Times as one of 100 persons in the world who have made a difference in the environmental arena. In 2005, Dr Maathai was honoured by Time Magazine as one of 100 most influential people in the world, and by Forbes Magazine as one of 100 most powerful women in the world. Dr Maathai is full of energy and keeps smiling. The News on Sunday spoke to her on a February afternoon during UNEP meeting at Bali. Wearing a bright, multicoloured traditional African dress and headscarf, she never gives an impression of being someone 'big or important'. Sunday: Tell us about the Green Belt Movement? Dr Wangari Maathai: Kenyan women were coming together to discuss the issues that we wanted to take to Mexico for the first United Nations conference on women in 1975. Many women in rural areas said they were concerned about firewood, which was the main source of energy. They were concerned about water; there wasn't adequate clean drinking water. They were concerned about nutritious food, and they were concerned about poverty, especially among women. I immediately suggested that perhaps what we should do with these women is to persuade them to plant trees. I saw the connection between land degradation and lack of water, so I continued with the programme of tree plantation. I started with a small group. Then it became two groups. Eventually, it was thousands of groups planting trees to restore the land and improve the quality of life. TNS: what does a tree means to you? DWM: For me, a tree is a great symbol of what is going wrong with our environment and also what can be good with our environment. How we can heel our environment by planting tree and generally taking care of living things in our environment. TNS: In your Nobel Peace Prize winning speech you talked about environment as a means of peace, what is the connection between the environment and peace? DWM: There are strong connections between peace or rather between conflict and natural resources. When resources degrade, there are less of them. And especially land, which is one natural resource that most people in the world want to access -- or resources such as water, which we all need. There are too many people wanting to use the natural resources and when these resources are degraded or polluted, there are fewer of them for the rest of us, and then we start competing for them and eventually as we compete, there are those of us, who have the capacity, who have the ability to control them, to decide who accesses them, how much they access, and eventually there is a conflict. Those who feel marginalized eventually react in an effort to get their own justice, and we have wars. For me it is very clear that whether it is at the local level in Kenya, where the different tribes have conflicts over land and water, or whether it is at the global level, where we are fighting over water, over oil, over minerals, that a lot of conflicts we have in the world are actually due to competition over resources. And that is how I see that one way we can promote peace is by promoting sustainable management of our resources, equitable distribution of these resources, and that the only way you can actually do that is by having a political and economic system that facilitates that. And then you get into the issues of human rights, justice, economic justice, social justice, and good governance or democratic governance. TNS: Being an environment activist, what is your take on the war on terror and what do you make of this UNEP meeting at Bali in a scenario where UN spends five times more on its peace keeping missions than on environment? DWM: You know we are in very difficult times because all of us had hoped that by now we would come to end as far as war on terror is concerned. It is very devastating for humanity and environment. I believe we need to talk to each other because if we don't do so the only other alternative is to shoot each other. I don't think we need such a world. This UNEP meeting and other governmental global meetings are even more important in such a scenario because we live in a world where we have many nationalities, many groupings, many political persuasions, and many philosophies. It is extremely important for our world to learn to live together and the only way we can learn to live together is come to such meetings. This meeting is very important to see how we manage our planet better in order to save it and in order to manage the resources we have with responsibility and accountability and to learn to share these resources more equitably so as to promote an environment where peace can thrive. TNS: The Copenhagen meeting has failed to do so, what message do you give to leaders from different countries? DWM: Well, again Copenhagen was another meeting where global leaders met, we wanted them to give us an ambitious agreement to protect the planet to do something to reduce greenhouse gases, but they could not agree. This is largely because we know that politicians are under a lot of pressures from their citizens, from their business communities, from people who consider national interest prime than global interests. We just have to continue trying very hard to get these politicians come together and to agree and we hope that between now and Mexico, there will be greater cooperation and we will come to an agreement which is not bad for the developed world but which is not punishing the developing world which is not responsible for much of the greenhouse gases. TNS: What did you make of the criticism when you got nominated for the Nobel Peace Prize? Many people were not seeing a link between environment and peace at a time of extremism and terrorism. DWM: Some time you know people have to see very clearly why you are being given an award and, of course, I am just an ordinary person and all I was doing for three decades trying to plant trees and trying to contact conflict with bad management of resources, which of course come up with bad governance. It's a challenge for all of us to change the way we think. By choosing to honour the Green Belt Movement, the Nobel Peace Committee has challenged us to understand that our whole existence is dependent on how we manage our environment. And for us to be able to manage our environment properly, we have to have good government and we have to have peace. We cannot expect to have peace if these other elements are not in place. I am very happy that Norwegian Nobel Peace Prize committee saw the link and I think now more and more people are accepting the fact that management of resources and good governance of the resources is very important for peace in the world. TNS: What is good governance in your opinion? DWM: The term good governance can be different for different regions and nations. But whatever it is you have to respect the rights of other people. You will have to be inclusive and you have to promote equity and then by doing that you preempt many of the reasons that we go to war with each other. TNS: What about bad decisions of governance? For instance, that Kenyan government is not banning plastic bags which are the main source of mosquito reproduction while on the other hand it is promoting the use of DDT to quell malaria? DWM: These are the kind of decisions that are promoted by greed and greed is usually promoted by businessmen in cohorts with politicians. This has been the tragedy of many developing countries where you have politicians who are willing to do business with international companies that have respect for the effluent that they are throwing to the atmosphere, into the water, into the soils and then these are used by poor people. These chemicals have been causing deaths of many poor people, including children while these companies and many other people pretend that it's okay because the companies and some other people make profit out of it. TNS: Then how would you handle such a situation. I mean you are someone who is a very strong voice in Kenya. When your voice does not reach the Kenyan government what hope an average person does have? DWM: You just never have to give up. In the beginning, I was very much alone. I was jailed, I lost jobs and I lost everything but today I am not alone anymore; there are lots of people and sometimes governments join me in such activities. We must never give up because we are the voice of the voiceless and we are the hope of the hopeless. Just do what you are doing because it is the right thing to do and you just never know the impact you are having and the lives you are saving. TNS: Being an environment and peace activist, and especially as a woman, you have faced many difficulties. How did you overcome them and what message you want to give young activists in a country like Pakistan? DWM: One thing I want to share with young people. Don't sacrifice your education to do activism. The first thing is education because being educated is very important. It helps you understand issues so that you are easily intimidated by people who can come and tell you that what you are doing is wrong. I would suggest the young activists in Pakistan stick to the school, study hard, and prepare for activism tomorrow. Many activists die in the course of their campaigns but that sometimes is the price we have to pay. Let us remember we are here in 21st century, can you begin to understand how many women, and men died along the way for us to have this kind of freedom many of us enjoy today? So, dying is not what is important, it's what the contribution you can make. TNS: Who is your inspiration? DWM: I am greatly inspired by my mother. As a girl I spent much more time with my mother than my brothers did, so she really inspired me. She was a hardworking woman. She was not educated and yet she was able to send me to school to encourage me to stay at school and to give the sense of 'sky is the limit'. And although I have seen many people who want to put the limit to me, I always remember my mother's attitude that sky is the limit. Let me say this, there are always people who should inspire you whether you are in your village, in your church, in your mosque, in your temple, just look around and you will find people who inspire. Entry 47, Part 1 of Federal Legislative List provided in Fourth Schedule to the Constitution empowers the federal government to levy "taxes on income other than agriculture income". The expression "agricultural income" is defined in Article 260(1) of the Constitution, which says: "Agricultural income" means agricultural income as defined for the purpose of the law relating to income tax." This is an exhaustive definition binding provincial Legislatures to levy tax on "agricultural income" as defined in the Income Tax Ordinance, 2001. The definition of "agricultural income" as contained in section 41(2) of the Income Tax Ordinance, 2001 has to be followed by all the provinces. The said definition defines agricultural income to mean (a) any rent or revenue derived from land which is situated in Pakistan and is used for agricultural purposes and (b) any income derived by a person from land which is situated in Pakistan from agriculture; or the performance by a cultivator or receiver of rent-in-kind of any process ordinarily employed by a cultivator or receiver of rent-in-kind to render the produce raised or received by him fit to be taken to market; or the sale by a cultivator or receiver of rent-in-kind of the produce raised or received by him, in respect of which no process has been performed other than a process of the nature described in paragraph (ii) and (c) any income derived by a person from (i) any building owned and occupied by the receiver of the rent or revenue of any land described in clause (a) (b) or (ii) any building occupied by the cultivator, or the receiver of rent-in-kind, of any land with respect to which, or the produce of which, any operation mentioned in sub-clauses (ii) or (iii) of clause (b) is carried on, but only where the building is on, or in the immediate vicinity of, the land, and is a building which the receiver of the rent or revenue or the cultivator, or the receiver of the rent-in-kind by reason of his connection with the land, requires as a dwelling-house, or as a store-house, or other out-building. It is pertinent to note that the above definition cannot be altered even by the parliament without the prior sanction of President of Pakistan as provided in Article 162 of the Constitution forbidding that "no Bill or amendment which imposes or varies a tax or duty the whole or pat of the net proceeds whereof is assigned to any Province, or which varies the meaning of the expression "agricultural income" as defined for the purposes of the enactments relating to income-tax, or which affects the principles on which under any of the foregoing provisions of this Chapter, moneys are or may be distributable to Provinces, shall be introduced or moved in the National Assembly except with the previous sanction of the President." The historical record shows that this Constitutional command was violated even by the authors of the Constitution. By the Finance (Supplementary) Act, 1977, the definition of agricultural income as obtaining in section 2(1) of then Income Tax Act, 1922 was amended by the words: 'and is either assessed to land revenue in Pakistan or subject to a local rate assessed and collected by the officers of the Government as such' were deleted. The aim of this exercise was to broaden the scope of agricultural income with a view to subjecting it to tax for which a schedule was also enacted. This was a revolutionary step to impose tax on agriculture income for the first time in Pakistan, though approval of President was not sought as required under the Constitution. It is tragic that on 5th July 1977, the government of Zulifkar Ali Bhutto was overthrown by a military dictator. The historic decision of taxing "agricultural income", as passed by Federal Parliament in the shape of Finance Act, 1977, was thwarted by the military regime of Ziaul Haq. Zia's legacy continued for long 11 years and that of General Musharraf for nearly 9 years, but feudal lords (including mighty generals who received state lands as gallantry awards or otherwise!) did not pay a single penny as agriculture income tax. NWFP did not even provide the definition of "agricultural income" in its "Northwest Frontier Province Agricultural Income Tax Ordinance, 1993"! The tax levied under the name of "income tax" was, in fact, a land tax on the basis of produced index units. This was nothing but a mockery of legislative process. If there was no political will to impose income tax on agricultural income, then what was the need to hoodwink the people by calling it Agricultural income tax? The same is the case with Sindh Agricultural Income Tax Act of 1994 as amended from time to time. The Punjab Agricultural Income Tax of 1997, as amended from time to time, is no exception. No effort was made till 2000 to impose income tax on total income earned from this source. A face-saving device has been restored to levy yet another levy on acre basis for different rate in respect of irrigated and unirrigated lands. In Balochistan, the position was no different. From 1993 to 1999, the Baluchistan Legislature promulgated various Agricultural Income Tax Ordinances, amended from time to time, following the same pattern as in three other provinces. In 2000, it passed The Balochistan Tax on Land and Agricultural Income Ordinance, 2000 that contained the same definition of "agriculture income' as in income tax law promulgated by the federation. The above analysis shows that none of the four provinces, while levying income tax on agricultural income, followed Article 260 of the Constitution. All the laws passed by them for taxing "agricultural income" were sham. It shows an attitude of contempt and apathy towards Constitutional provisions. One hopes the federal government and all the provincial governments will take note of it and remedial measures will be provided in the forthcoming national and provincial budgets. Sadly, that phase of growth and ample food is no longer the prospect for Pakistanis today. In the last five years, there have been several occasions when the production of food grains (wheat and rice in particular) fell below the demand and the resultant shortfall had to be met through imports. This caused widespread food shortages and unrest on the one hand, and a serious blow to the country's scant foreign reserves and cash flows, on the other. Since 2004-05, Pakistan has imported as high as 4 million tonnes of wheat each year to meet the domestic demand. The situation is food security is worsening with every passing year and the crisis will likely turn into a disaster unless targeted and timely reforms of the agricultural system are carried out. From a long term perspective, it is evident that agricultural productivity growth has remained dismally low in the past three decades. Since 1980, the food grain productivity has increased on an average rate of 1.79 percent per year. Over the same period, the country's population has increased at an alarmingly high rate of 2.5 percent per year. Pakistan has been able to partly bridge this gap, and by so doing defer the threat of food insecurity, by expanding the area under cultivation. This was, of course, possible only as long as cultivable land and irrigation water were available. While additional land may still be available, a long term decline in the flows of freshwater, storage capacity of reservoirs and underground water table, have depressed, if not altogether exhausted, the prospects of further land development. The stagnation of the agricultural productivity has many causes. The key factors behind Pakistan's agricultural crisis include the distributional inefficiency and tenancy of land, ineffective management of water resources, low investment in production and technologies, and an ambitious - but highly ineffective, if not counterproductive - regulatory regime governing the agricultural factor and output markets. While all these issues are in want of reform, the issues of land distribution and tenancy are at the centre of the crises as it has been neglected by successive governments since the 1980s. Historically, the distribution of land ownership in Pakistan has been highly unequal and concentrated in the favour of few landowners. According to the Pakistan Agricultural Census Organisation, in the year 2000 more than half of the cultivable land was possessed by less than 10 percent of the landowners - who own 20 or more acres of land. Ironically, the situation has not changed much since the 1960s when 7 percent of the landowners owned half the cultivable land in the country, each with a landholding of more than 25 acres. That land reforms lead to efficient utilisation of land, improved agricultural production, employment and poverty reduction is a well established argument, supported by theory and empirical evidence. China and several countries of East Asia have successfully used land reforms to reinvigorate agricultural growth, promote employment and reduce economic and social inequalities. In the case of Pakistan, a growing and vibrant agriculture sector in the 1960s marred the need for the much needed land reforms. While two formal attempts at land reform were made in 1959 and 1972, both failed to achieve their stated objectives as they were mainly meant to contain social unrest and political chaos and to gain popular support in times of crises. A closer look at the cultivable land ownership and use statistics of Pakistan make the need for land reforms obvious. First and foremost, research shows that in much of the developing world, where agriculture is characterised by constraints to investment and mechanisation, small and medium sized farms (12 acres) are more efficient than large sized farms (20 acres). Several empirical studies demonstrate that, if the effect of capital, technology and other factors is held constant, the income per acre of land from small farms can be up to double that of large farms. This becomes possible because of a higher allocative efficiency of land in the case of medium and small sized farms and b) the lower reservation price of labour for small farms in contrast with the larger farms that have to hire labour and thus making it expensive for them. Secondly, the Pakistan Agricultural Census shows that nearly 40 percent of the arable land (i.e., 4 million hectares) is not cultivated in a given year. Almost 2/3rd of this utilisation land is held by large landowners, who own 25 or more acres of land, pointing towards the unmanageability or inefficiencies that are associated with large and concentrated landholdings. In contrast, most small farms cultivate over 90 percent of the arable land, deriving maximum benefit per acre of land. The third important issue pertains to the weak land tenancy in the country, where nearly one third of the cultivable area is under tenancy. Amidst an absence of tenancy regulation and social safety nets, tenants are more often than not wholly dependent on and indebted to the landlords. Often tenancies are carried from one generation to the other and so are the debts and obligations, at times taking the form of bonded labour. Tenancy contracts are mostly informal and hence not enforced legally. Jacob and Mansuri (2006), in their seminal research for the World Bank, show through their research that incomplete tenancy contracts lead to "investment holdups", where due to tenure insecurity, the tenants tend to under-invest in productivity, thus leading to inefficient and suboptimal factor productivity of land. Fourthly, in Pakistan's "labour surplus" economy, almost 44 percent of the labour force is employed by the agriculture sector. Due to the highly concentrated distribution of land, a large part of the labour force is landless and is hired seasonally, while others work as sharecroppers or tenant families, under a wide range of contract and tenancy regimes. However, as discussed above, the efficiency losses from incomplete contracts and insecure tenancies can be overcome by means of land redistribution and private ownership, where land can be distributed to a part of this labour force thereby creating incentives to invest in productivity enhancement and conservation. And finally, land being the most valuable asset and a symbol of social status, also serves as a source of monopolisation of political and social power. In Pakistan, unequal landholdings have led to social polarisation and exploitation of landless and smallholders by the landed elite. In the rural arena, feudal capture of political institutions, public service delivery and extension services, access to farm credit, sources of inputs and means of marketing is hard to ignore. This has not only affected agricultural productivity but also suppressed the social, political and economic progress in the country. One may ask that, given a total failure of previous land reform efforts, is land reform a mere idea in Pakistan's context? Experts have extensively reviewed the land reforms of 1959 and 1972 and have suggested that the failure of earlier land reforms was not a "strategy failure" - i.e., land reforms as a strategy for improving factor allocative efficiency and agricultural productivity and reducing unemployment, economic inequalities, and poverty. Studies found that reforms failed due to, a) lack of political commitment, b) loopholes in legislation, e.g., provisions for exemptions and allowance of land transfer to heirs, c) the burdensome payments that the beneficiaries had to pay for the allotted land, and d) centralised and inefficient bureaucratic administration. Recent land reform experiences of China, East Asian economies and selected regions of South Asia provide substantive evidence that land reforms are not only possible but also lead to positive economic and social outcomes. Depending upon the political, social and economic context, base conditions and specific objectives, different countries have applied different policy instruments, strategies and management models to land reform. The choices, trade-offs and balancing acts have involved setting the ceilings for landownership, government engagement versus the use of market based approaches (e.g. incentives, penalties and taxes), allocation and pricing of expropriated land, and timeframe for implementation. Pakistan can draw upon a wealth of international experience and learning to develop its land reform strategy. If designed well and implemented through market based instruments, implementing a land reform policy will not require very large budgetary commitments. The requirements can be met by re-appropriating the existing budgets and resources of the Ministry of Food and Agriculture, Federal Board of Revenue, Provincial and District Administrations and the relevant line departments. Given the centrality of agriculture to Pakistan's economy, concessionary development financing from multilateral and bilateral institutions may also be forthcoming. To delay land reforms is no longer an option today, given the current state and impending prospects of food insecurity, agricultural productivity and economic growth. If the issue is not addressed on a priority basis, it won't be long when we will be faced with a large food-starved population, high unemployment and unsustainable inequalities which can push the country into chaos, political turmoil, and jeopardise the gains from years of, albeit very slow, progress. Olive cultivation has not been on the priority list of successive governments. Private sector has not paid heed to this sector. The emphasis has been more on the traditional sources of edible oil. The problem of law and order in NWFP and tribal belt are some of the reasons why olive cultivation and olive oil production has been neglected. There are about 50 million wild olive trees, namely the olea feruginea and olea cuspidata species, are believed to be present in the country. They are mostly grown in NWFP and FATA. Italy, one of the world's prime olive producers with 1.2 million hectares under olive cultivation, is helping Pakistan to convert its barren wild olive groves into fruit-bearers, establish new olive plantations and give birth to a new industry in olive oil production. The Italian ambassador to Pakistan has recently acknowledged that Pakistan has been gifted with natural climate and soil for olive plantation in NWFP and Potohar region. According to Mushtaq Ahmed, provincial director of PODB NWFP, at present more than 45 million established wild olive trees are there in the country. "NWFP and FATA house over 31mn of these trees. These trees can easily be brought into oilseed production by converting them into European type olive through budding/grafting procedure." Ahmad says PODB has so far successfully converted 7.5 million out of the target of 8mn olive plants into the European type. "Out of these, 4mn plants have been converted in NWFP alone while the rest were converted in Balochistan and Punjab," he says. Conversion of the remaining 26mn wild olive trees in NWFP and FATA in the next few years should be foremost priority of the government as it will help produce an estimated 75,000 tonnes of olive oil, saving about $1.5bn annually. According to experts, Batagram. Kohistan, Swat, Dir, Malakand, Buner, Swabi, Mardan, Abbotabad, Haripur, Bannu, Kohat, Karak and Hangu in NWFP and sixty percent of FATA is suitable for cultivable olive production and wild olive species. According to official figures, over 46 percent and 38 percent of the total area in Bajaur and Mohmand Agencies and 23, 15, and 21 percent of the North/South Waziristan and Kurram agencies respectively is suitable for olive production. A study conducted by an Italian expert, Raffaele Del Cima, who is also project officer for Italian government's olive oil promotion scheme, reveals that NWFP and Balochistan have plenty of cultivable land in at least 14 districts suitable for olive cultivation. Out of these 668,278 hectares, 444,574 hectares are situated in NWFP, the study finds. According to another estimate, over 880,000 hectares of wasteland is ripe for olive cultivation. If the above cultivable land is utilised for olive cultivation, it will increase income of the farmers, help eradicate poverty, and save precious foreign exchange for the country. Besides the existing oilseed crops, if the country targets the potential olive and palm oil plants for oil production and they are established in their proper habitats, Pakistan can become an exporting country within a span 10-15 years. "Availability of vast uncultivated and cultivable area in the high rainfall zone of the country, conducive temperature for olive production, presence of suitable soil texture and structure, low production cost and high output with abundant cheap labour force, etc., are some of the factors that speak of a good future for the sector," says Ahmad. According to the official, PODB intends to bring over two million acres of land under olive cultivation and plant around 220 million trees in the next ten years. "It will produce about 2mn tonnes of edible oil, saving and earning billions of dollars annually for the country." PODB was also asked to produce 0.300 million olive saplings. "Out of it 0.227 million olive plants have been produced and distributed among the farmers. PODB also trained 668 army personnel, NGO workers, and progressive growers for this purpose. Besides, 364 acres orchards were established by PODB in NWFP at Tarnab, Sangbhatti, Pirsabak, Turu Khass and Khawoo. An olive model farm for research and development has also been established in Mardan where about 17000 to 18000 olive plants have been developed on 150 acres area," Ahmad adds. He says plants that have been converted have started growing successfully. "Oil extraction has been started and will soon be commercialised. For this purpose, PODB has installed two olive oil extraction units in FATA and NWFP. These plants are movable and provide oil extraction facility to the farmers at their doorsteps. Within a few years, the commercial production will be started from different locations of Public and Private Sector," says the official. 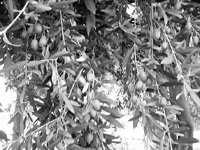 In order to improve production technology in the olive sector and to conduct various research works on different aspects of olive tree, a project titled "Development of Olive Model Farm for Olive Research and Development Activities" was launched in July 2008 to produce 10,000 numbers of certified olive saplings. "This will make available certified olive plants to the farming community on reasonable price. The project will facilitate farming community for cost-effective olive production thus increasing their profitability. It will also assist to create self employment in the rural areas," informs Ahmad. Pakistan faces a huge gap between edible oil requirements and domestic production -- the total edible oil requirements stood at 2.820 million tonnes last year but local production was only 0.684MT. Rest of the requirement was met through import of edible oil and oilseed worth over $2 billion. This import bill can be curtailed by a huge margin if the required quantity of edible oil is produced through vertical and horizontal increase in oil-seeds, particularly olive trees. By providing quality seed, modern training, and providing marketing mechanism to olive farmers, the country can achieve the goal of promoting olive cultivation and self-sufficiency in oil needs. The government and private sector should join hands to improve cultivation and harvest techniques in olive production, species selection, nursery management, and oil analysis. "Bhai Jaan, hamein Awara film dikhaiye," the lady said. She was a spinster and was the sister-in-law of our Pakistani neighbour who worked in Pakistan Embassy. Both of us were posted in Kabul, Afghanistan. I was a lecturer in English at Kabul University. It was 1974 and the Indian and the Pakistan Embassies had respectively furnished flats to us which just coincidentally happened to be adjoining. Besides the lady, there were her brother-in-law Mr. Khan, not the real name, his wife, two young daughters, and a grown-up son. The members of the family almost regularly visited us and spent the evenings talking of various things except politics and politicians. If ever any reference was made to politics of politicians, it was detested. Ours was an insignificant chit chat clearly aimed at lengthening the togetherness of the two families rather than anything else. The family left no opportunity to be as close to us as possible. We enjoyed their company immensely. The behavior of most of our Indian compatriots on the other hand was snobbish and rarely ever relaxing. We saw the film at Baharistan, a distant cinema house and it was a freezing-30 degree cold. I remained ill for a week as it was a night show and the upper classes being full, we had to compromise by buying tickets for the lowest class, sharing the wooden bench rows with the riff-raff. Nevertheless, our Pakistani neighbours were satisfied for having watched the film of their choice with their friendly Indian neighbours. The intimacy and informality were strengthened as the time passed. I am a vegetarian. At Eid the lady of the Pakistan family brought a piece of meat in thick gravy with lots of fat. I wouldn't even dare touch meat in India but now in spite of my firm but modest protestations, she insisted on my trying the meat. I put the piece into my mouth and it kept rolling there. There was no question of its going down the gullet. My face perspired and I felt very awkward with the neighbours looking at my predicament quizzically. Finally, I had to excuse myself and went to the bathroom and spat the piece out and flushed my mouth as best as I could. Of course, there were other such embarrassing incidents but all passed in good humour. On one occasion, I was shopping in the posh bazaar. Just across the road the Pakistani Embassy was situated. I was approached by a very polite and cultured gentleman who asked me in sweet Hindustani if I knew where Pakistan Embassy was as the cabby had been fleecing him for a long time. I asked if he was an Indian and he told me that he was a Pakistani. I at once felt a kinship because of his demeanor and the language. Of course, I felt bitter about the unscrupulous cabby and pointed out to the gentleman the Pakistan Embassy just across the road. My idea in mentioning such things is just to give readers an idea of how very much our Pakistani neighbours sought our proximity with unprecedented humility and warmth. I savoured sewayian at Eid. We too reciprocated by sending them our delicacies at festivals. For about a year we were neighbours and then they shifted to another location. The contacts, however, were maintained as long as we were in Kabul. Unfortunately, the common people of both the countries get rarely to meet on equal terms and in an informal environment where the essence of good feelings for each other could be gauged and assessed. The existence of a miniscule number of hot heads on both sides can't be denied. When any cultural or other exchanges are mooted, there are constraints mostly on account of political or security considerations. Our films, musicians and artistes to a great extent narrow down the distance. Almost in all the cinema halls in Kabul, Hindi films ran to full houses. In those days, Dharmendra and Hema Malini were a craze. People hummed film song tunes at our sight. Even in the University beautiful girls hummed the tunes outside my classroom loudly enough for me to hear. Once I was moving in a bazaar when some female voice was heard calling us 'Dharmender Hemamalini'. On taxi dashboards their pictures sandwiched the picture of their then President Mohammad Daoud. It all pointed to the great hunger of the Pakistani and Afghani friends for very close and cordial relations with the Indians. I never noticed any animosity against Indians in Kabul or from Pakistanis. Mr. Saxena, on deputation from Patna University, was also posted in Kabul University and he regularly played tennis with his Pakistani acquaintances. His proximity was so good that he was granted special permission by Pakistan Embassy to cross Pakistan in his Toyota car which he had purchased in Kabul with proper permission of our authorities on his way back to India at the end of his tenure. In these circumstances it is essential that, political considerations apart, people of both the countries should at least welcome more and more opportunities of mutual contacts. When distrust and misgivings, mostly based on sketchy information about each other, are diluted, it is hoped the political atmosphere too will be improved and this well-meaning and timely campaign will certainly gain momentum and may sometime show tangible results. The interesting thing about this exercise is that we agree about a lot of things. Which might raise the question, are we the right people to be doing this exercise at all? But that raises another question: why not? Why should voices that tend to agree on some things not be raised and heard? And maybe that will be my theme for this letter. Meaning: Why has the relationship between our countries come to be defined by people who are fundamentally antagonistic and vengeful? Is it something intrinsic to the very existence of India and Pakistan? But even if it is, does it have to remain so for eternity? This is hardly to suggest that we magically give up the serious disputes we have. What I'm suggesting is those of us who don't see red at the very mention of the other country must claim our rightful space on the battleground. We must spell out and vigorously defend our vision of the future for our countries. After all, I don't want my children to be burdened with this hostility that kills soldiers along our borders every day, even when we are not fighting an all out war. After all, I think we are best served by brave soldiers who are alive to serve. There's a reason I mention "battleground" and "defend" and "soldiers" above. I'm laying some early groundwork for something I wonder if we can work towards a joint memorial, somewhere near the border, to the soldiers who have died on both sides. Think of it: at least in our early wars, it's certain that plenty of soldiers on either side grew up as neighbours, maybe even cousins or brothers, in the same village or town; officers were certainly compatriots during their military training. It must have torn at them to have to fight each other. We in India have war memorials, as I'm sure you in Pakistan do as well, remembering the sacrifices of our fighting men over six decades. What would it do for our countries to have a joint memorial, remembering the sacrifices on both sides over six decades? What would it do to us? To the hostility? There are precedents for something like this, which maybe I'll get to in a subsequent letter. For now, what do you think? Speaking at my alma mater, BITS Pilani, a few months ago, the actor Rahul Bose said this: "I have a dream of a time when we will cheer a Younis Khan sixer as madly as we cheer a Yuvraj Singh one." I hold to the hope that this idea of a joint memorial is a step towards realising Rahul's dream. Thanks for your salaams to the memory of our beloved, respected Aziz Siddiqui. I feel sad he is not better known in India, just as there are so many other respected and beloved figures on that side about whom we in Pakistan know little or nothing. I agree that we need to define the relationship between our countries -- 'we' as in people like you and me, rather than those who are "fundamentally antagonistic and vengeful". Certainly, even if it has always been that way, now is the time to change that. If sane voices have an equal playing field and reach the people, the call to resolve all issues through dialogue will prevail over those who routinely use aggression to sabotage peace. I like your suggestion of a joint memorial to soldiers on both sides. But for this to happen, our armies will have to stop seeing each other as the 'enemy'. The idea reminds me of an earlier proposal that you may know about -- a joint memorial on Wagah border to "all victims of partition violence". Expatriate Pakistanis and Indians initiated this move through Asiapeace (www.asiapeace.org) and its associated Association for Communal Harmony in Asia (ACHA). They even presented a petition to then Pakistan President Pervez Musharraf and Indian Prime Minister Manmohan Singh in August 2004 in the hope that "this memorial will also serve as a symbol of the ending of the armed conflicts and hostilities of the past, and of the beginning of a new era of cooperation, peace, and friendship between the great people of the two countries". The full text is online at http://indiapakistanpeace.org. The website includes the rationale behind the demand. An extract: "It is our sincere wish and hope that this memorial will help begin a new chapter in the history of the Subcontinent -- one based on a better understanding of the past and on mutual trust and respect in the future." (The author is the respected academic and analyst Dr Ishtiaq Ahmed). P.S. I admire Rahul Bose greatly, but his dream that Indians and Pakistanis will one day cheer each other's cricket heroes equally goes against the essentially competitive nature of sports. I don't know of any two countries where people cheer the other team as loudly as their own. Still, Indians and Pakistanis do often cheer for each other against a third party. For now, that's good enough for me. The News on Sunday: What role can exchange of art between Pakistan and India play in strengthening the peace process between the two countries? Ghalib Baqar: Like India, Pakistan has produced some great artists such as Chughtai, Shakir Ali, Sadequain, Bashir Mirza, Jamil Naqsh, Ahmed Pervez, Zahin Ahmed, Maher Afroze, Nahid Ali, Mansoor Rahi, and sculptor Shahid Sajjad to name a few, but, sadly, people in India do not seem to be well acquainted about them. Today, when the Cold War has long ended and Europe has established a European Union that transcends borders, we need to learn and learn very quickly. We have to shun war and jingoism. We should know that we are inheritors of a great civilization. This can be done by going through an inward journey and allow exchange of art between Pakistan and India. I think exchange will pay rich dividends. Art is not nuclear science that can harm anybody or should remain hidden. Art is like fragrance that transcends borders. TNS: We have started exchanging films. Why have we lagged behind in exchanging art? GB: The ban on Indian films in Pakistan after the 1965 war, for instance, was a wrong decision. It was the beginning of the end of our film industry since there was no competition between the two countries. It is good that Pakistani viewers now have access to some good Indian films. But there is a need to expand cooperation between Pakistan and India in various fields. The decision-making should not remain confined to the governments. There is need to give a new boost to people-to-people contacts. For the last 62 years governments have been making decisions about war and peace and they have failed miserably to resolve issues. Now the common man in both the countries should be allowed to take decisions. TNS: Do you agree that exchange of art between the two countries will also help in containing sectarianism and terrorism? GB: Certainly. These negative trends have taken roots in India and Pakistan because we failed to magnify positive things around us, like Fine Arts, for instance. We allowed fundamentalists to play the nasty game and kept quiet. Now they are threatening the very social fabric of our societies. But the forces of progress and enlightenment never die. These positive forces go into hibernation when the atmosphere is not conducive. But the undercurrents are always there. And when the time is ripe we see new leaves. In India, unlike Pakistan, the communist and progressive forces are still powerful despite the dismemberment of Soviet Union and the socialist empire. They even influence governments. This is because progressive thought is rooted in the masses there. Similarly, Pakistan has lots of enlightened and progressive people. They have played a vital role in promoting peace between the two neighbours despite odds and can do so in future through exchange of ideas, films, art, and literature.